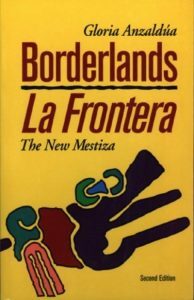 Gloria Anzaldua’s Borderlands: La Frontera is a book that transcends all boundaries of genre and style. A text that includes poetry side by side with fragments of mainstream history, and intermixes them with personal and collective testimony, memory, revisionist history and journal entries, the closest description of it could be a poetic-political auto-ethnobiography. At once dialogic and polyvocal, the book has been one of the seminal texts in expanding notions of self-representation, and ways of formulating identity in late twentieth century America. Writing is an act of self-creation, and Anzaldua is very aware of the creative power of this process. Her book, therefore, takes head on not only the challenges of dealing with the everyday injustices of labor exploitation that happens at the border, but also the challenges of rewriting androcentric history. As a woman, Anzaldua’s private world of Chicano culture is as restrictive, with the same patriarchal structure of tyrannical rules and regulations, as the public world of Anglos who define the boundaries of labor. In one of her autobiographical sections, she mentions that: “Instead of ironing my younger brothers’ shirts or cleaning the cupboards, I would pass many hours studying, reading, painting, writing…Nothing in my culture approved of me. Something was wrong with me.” Cultures on many sides are trying to force her into a specific idea of gender, but she refuses to fit the mold. She will neither take on the role of the nurturer who will iron her younger brother’s shirt in the same way she refuses her role as the migrant laborer that the mainstream white culture has put aside for her. She struggles to place herself in a space where she is capable of writing herself out of the mother/whore/nun paradigmatic choice given to women, and into one where she can be a self autonomous person who has had the privileges of an education and a career. Through her acts of resistance to claustrophobic gendered molds, she redefines her own conceptualizations of gender. Acknowledging that we are always on “the Borderlands” between people, between cultures, between sexual encounters, between classes, she sees this trope as a fundamental one for viewing and understanding one’s identity. Instead of searching for an essential, pure aspect, she recognizes the blurry ambiguities of being in between multiple states of being, and urges us to accept this as a new form of consciousness. Anzaldua foregrounds the borders between gender, race, class, sexuality and ethnicity as five important frameworks through which to view one’s autobiographical as well as communal history. These five elements, and their intersections, are seen to be integral to the creation of her multiple, complex identities. While Borderlands is above all a feminist text, Anzaldua makes us realize that gender is but one of the elements that make up our identity. Gender is one small fragment, and without the insights of race, ethnicity and sexuality, it is decontextualized. All through the text, we are brought face-to-face with the intertextual interweavings between these different facets that make up an individual’s identity. Anzaldua was no stranger to gender activism. One of the most painful struggles in her life comes from her acknowledgement of her sexual identity. As a lesbian by choice, she has had to deal with homophobia not just from the outside world but also from her own family. Just as the US-Mexico border is an “unnatural” boundary, Anzaldua views boundaries between heterosexual and homosexual as an unnatural one. “Contrary to some psychiatric tenets, half and halfs are not suffering from a confusion of sexual identity, or even from a confusion of gender. What we are suffering from is an absolute despot duality that says we are able to be only one of the other,” she says. Just as the border is seen as a danger zone where “aliens” crossover to pollute a well ordered society, so does the sexual borderlands. Anybody who dares to cross over creates moral panic. Anzaldua sees her choice as a conscious act that breaks down the boundary that separates the male from the female aspects of her personality. The ultimate rebellion for Chicanas is through sexuality, and she embraces the magic aspects of what is sometimes perceived to be an abnormal deviance. Anzaldua analyzes class issues with the same boldness as she deals with ethnicity and sexuality. As somebody from a working class background who had spent her childhood working as a migrant laborer, she focuses on the concerns of maquiladora, undocumented and migrant laborers as an integral part of the text. Exploitation–of labor, of human beings, of women–take place in the borders. Each crossing puts the crosser in alien territory, and they have to relearn to make sense of knowledge. She sees this violence as transformative. She also insists that class issues cannot be analyzed by themselves, they have to be seen in a gendered light. Borderlands: La Frontera, in many ways, is a true border text that bridges the border between autobiography and political critique, between revisionist history and creative storytelling. It was one of the first to take on the trope of the border as personal as well as political, and translate it into the fragmented liminal work that has come to have a significant impact in the academic community as part of the canon on “border theory”. The book has also had a fundamental impact on artistic communities. 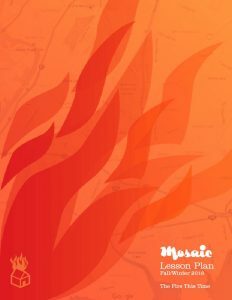 Melding ideas of personal transformation with ideas of collective change–‘nothing happens in the real world until it first happens in the images in our heads.’ Anzaldua deals with the fragments of her journal, her memories, her history and her identity, and brings it all together in a style that mirrors the juxtapositions and the contradictions of her own life. By thus giving life creatively to a marginalized history, she also paved the way for other so called “minorities” within the US to think about their lives “autobiographically” in the same intensely personal, as well as, political way. Sushma Joshi is a Nepali writer and filmmaker based in Kathmandu, Nepal. This entry was posted in Essay and tagged Anzaldua at the Liminal Edges of Identity, Borderlands: La Frontera, Chicano, Gloria Anzaldua, latino, Mexico, mosaic, mosaic magazine, Reconstructing Autobiography in the Borderlands, Sushma Joshi. Bookmark the permalink.